Genuine parts by the inventor of the car itself. When your vehicle needs maintenance or repair, accept nothing less than Genuine Mercedes-Benz parts. Painstakingly crafted to the state-of-the-art standards of Mercedes-Benz, our parts are the final, fine-tuned word in protecting your vehicle’s performance, style, comfort, and safety for years to come. What distinguishes Mercedes-Benz Genuine Parts from others? Mercedes-Benz Air Filters have a high-filtration efficiency that allows them to retain dust and dirt particles as small as a few thousandths of a millimeter, helping clean air to reach the engine combustion chambers – and thereby protecting the engine. Mercedes-Benz Cabin Air Filters help protect the vehicle’s occupants from pollen and irritating air pollutants. They also help provide reliable protection for the vehicle’s heating, ventilation, and climate control systems. Maintaining proper visibility while driving your vehicle is essential at all times. That’s why Mercedes-Benz wipers are designed with curvature and pressure points that conform concisely to your windshield. They’re also made from both natural and synthetic rubbers, which provide long lasting elasticity. If your vehicle has been in an accident, you may be anticipating the stress and hassle of dealing with insurance companies and body shops. Your Mercedes-Benz authorized dealership will help guide you through the process of getting your vehicle back to its pre-accident condition. 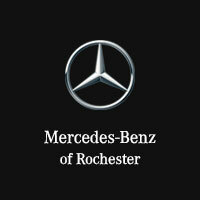 Mercedes-Benz has a solution in the form of our Certified Collision Centers. Using one of our Certified Collision Centers lets you maintain the value, fit, finish, and safety of your vehicle. You can expect exemplary service, genuine parts, and outstanding craftsmanship in all repairs. Assurance that your vehicle will maintain the manufacturer-specified safety standards it had when new. The safety of a vehicle not repaired within these specific standards could be compromised in the event of another accident. Using Mercedes-Benz Star marked replacement glass helps ensure that the safety and quality designed into the structural integrity of your vehicle is maintained. Solar coatings provide integrated UV protection and heat load reduction. This technology optimizes air conditioning performance and can improve fuel economy. Mercedes-Benz glass and attached moldings have been tested for UV, chemical, temperature, tear and abrasion resistance. Aftermarket products are often made with materials that do not meet these standards. A well-functioning heating, ventilation, and air conditioning (HVAC) system not only optimizes climate control and defroster operation, it can help maintain MPG rating over the life of the vehicle. Regular checks and preventative maintenance (e.g., cabin filter, A/C compressor) performed with genuine Mercedes-Benz parts can prevent potential costly repairs. The most important thing to know about your HVAC system is that only Mercedes-Benz trained technicians use the proper equipment, components, and procedures to repair and diagnose potential issues. For example, if you drive your vehicle in a humid climate, ask your Mercedes-Benz service advisor about special cleaning and drying treatments that eliminate odors and mold build-up. The refrigerant used in your air conditioning system may adversely impact the environment if improperly disposed of. Our technicians will use specialized recovery and recycling equipment to safely handle its disposal. Your HVAC system requires the smooth flow of air through clean vents to function properly. Have the cabin filters inspected and changed regularly. The operation of the A/C compressor relies on proper belt condition and tension. If a replacement is needed, a genuine Mercedes-Benz belt assures for a perfect fit. Seasonal HVAC inspections are recommended as part of overall vehicle care and maintenance. Watch for notices from your dealership regarding inspections, as they are aware of the proper timing for your vehicle. The Mercedes-Benz braking system was designed to the unique specifications of your vehicle, and features brake pads and rotors made from precisely engineered metal compounds designed to safely transfer heat and provide superior mechanical strength. Mercedes-Benz-trained technicians can install Genuine Mercedes-Benz brake parts in accordance with strict standards. Incorrectly installed or non-approved brake pads can lead to premature wear, increased stopping distance, or complete brake failure. Have your brake pads and rotors, along with the brake fluid, inspected during your A- and B-service appointments, or when your vehicle’s brake sensor display lights up. Replace and service when recommended. Your Mercedes-Benz was designed with specific tire requirements, available with the Mercedes Original (MO) or Mercedes Original Extended (MOE) tires, which will help ensure your vehicle maintains its safety, performance and handling qualities. Mercedes-Benz recommends that all replacement tires at least meet the original equipment specifications in terms of size, load and speed rating so you continue to enjoy the performance and handling built into your Mercedes-Benz. Mercedes-Benz offers MO, MOE and other approved tires that meet the required specifications for your vehicle. Our dealerships offer competitive pricing on national brand tires designed specifically for your vehicle. The adhesion between tire and road is affected by overall conditions and driving style. Mercedes-Benz-approved tires are uniquely designed to optimize traction for Mercedes-Benz vehicles. MO and MOE tires must undergo extensive road testing to validate construction and confirm ride comfort. Mercedes-Benz works closely with the world’s leading tire manufacturers to design the best tires for each model. We measure reliability by two factors: the ability of the tire to deliver superior performance in a variety of driving conditions, and its capacity to deliver Mercedes-Benz performance mile after mile. The effective life of your tire depends on tire type, speed rating, inflation pressure, wheel alignment, and other vehicle and environmental conditions. To help attain maximum life for your tires, your Mercedes-Benz dealership will ensure that your tires are properly inflated, aligned, balanced, and rotated. Tires are a critical component of your vehicle’s active safety system. The safety standards of your Mercedes-Benz vehicle have been precisely engineered, and could be compromised if you do not have appropriate Mercedes-Benz-approved tires installed on your vehicle. Your Mercedes-Benz dealership offers tire inspection, wheel alignment, tire rotation, and tire balancing — all performed by certified technicians who know your Mercedes-Benz inside and out. Check tire-pressure periodically, since improperly inflated tires can lead to decreased fuel mileage, premature tread wear, and affect vehicle handling. Tire pressure can also fluctuate with temperature swings and should be adjusted during seasonal changes. Regardless of tread wear, we recommend that you replace tires and spares after six years because tires age normally, and their deterioration may not be visible to the eye. If your vehicle is “pulling” one way or the other, your wheels may be out of alignment, which can impact wear and performance. Your Mercedes-Benz dealership can conduct a four-wheel computerized alignment of the front and rear suspension. Have your tires rotated* regularly to help prevent uneven wear, improper handling, reduced fuel efficiency, and shortened tire life. Vehicles with staggered-width tires cannot be rotated, but instead require inspection. As tires wear, they can become out of balance, causing vehicle vibration and accelerated tire wear. When needed, your Mercedes-Benz dealership can computer-balance all four wheels. Plus, a Mercedes-Benz unit is covered under our Parts Limited Warranty. Genuine Remanufactured Parts are remanufactured to factory specifications by our certified technicians. By using them for repair and replacement, you can maintain your vehicle’s performance and value at considerable savings, plus reduce environmental impact. *In accordance with or as otherwise recommended by your tire manufacturer’s instructions. Rotation applies only to vehicles without staggered-width tires. Vehicles with staggered-width tires require inspection instead of rotation. Tires should be rotated/inspected at least once between each service visit. See your Service Manager for details. **Road hazards are defined as debris on a public roadway such as nails, glass, potholes, rocks, tree limbs, or any other object or condition not normally found in the roadway. Road conditions (such as uneven lanes or metal plates) found in construction zones or construction sites are not considered a covered road hazard. Damage or accidents caused by these conditions should be reported to your automobile insurance company. Certain exclusions apply.